Updated March 8, 2019, to reflect XT6 pricing. Cadillac crossovers will soon number three. Cadillac read the market correctly in the late 1990s, when it introduced its Escalade SUV. At the time, Americans were looking at utility vehicles as the people-mover of choice and the Escalade became this GM luxury brand’s initial entry. Five years later, Cadillac followed with the SRX, a wagon-like SUV which shared its underpinnings with the CTS sedan. But something happened along the way as the marque failed to keep up with the competition, which continued to roll out more models to fill out their product lines. Cadillac seemed to get sidetracked, choosing to invest more in new sedans, coupes, wagons and even plug-in electric vehicles. The Escalade and SRX (later XT5) continued, but wide gaps in product availability began to take its toll on sales. Cadillac is quickly closing the gap, adding the XT4 in Fall 2018 and will follow with the XT6 by summer 2019. This trio of crossovers plus the Escalade will give Cadillac most of the products consumers demand. We still see room for an even larger XT7 model to roll out someday, perhaps along with a subcompact XT3. As for the Escalade, an all-new model debuts in 2020. Here’s a look at the three Cadillac crossovers along with a chart for comparing statistical highlights. The Cadillac XT4 is a compact luxury crossover, the smallest of four SUVs offered by this marque. Fifteen years is a long time to expand Cadillac’s crossover line, but the wait has produced a handsome compact model, the XT4. This one seats five, comes with standard front-wheel drive and available all-wheel drive. Every XT4 is motivated by a turbocharged 2.0-liter four-cylinder engine paired with a nine-speed automatic transmission. Cadillac offers the XT4 in Luxury, Premium Luxury and Sport trims. The XT4’s design is closely related to the XT5 and comes with similar trim and options. Its mid-30s starting price place it in the thick of the market. You’ll find many package options, especially with the two top trims. Quite easily, your final price may approach $55,000, although well-equipped models can be had for about $45,000. See our latest Cadillac XT4 review. Originally offered as the SRX, the Cadillac XT5 is the first true Cadillac crossover model. The XT5 kicked off Cadillac’s current naming convention or at least it did so among crossover models. Cadillac crossovers begin with the two-letter “XT” designation and are then followed by a number. Cars begin with a “CT” designation and are also followed by a number. Arriving in 2017, the XT5 replaced the previous SRX, assuming the new model name as the previous nameplate came to the end of its model run. The XT5 is a midsize, two-row crossover with room for five. It offers standard front-wheel drive and available all-wheel drive. All models have a 3.6-liter V8 engine paired with an 8-speed automatic transmission. The XT5 comes in base, Luxury, Premium Luxury, and Platinum trims, the latter with standard all-wheel drive. Cadillac prices the XT5 from just under $43,000. Fully optioned, this crossover costs upwards of $68,000. Competing Models: Audi Q5, BMW X5, Infiniti QX60, Lexus RX, Mercedes-Benz GLC-Class, Volvo XC60. The Cadillac XT6 seats up to seven and will offer more room than any other Cadillac crossover. The Cadillac XT6 is a future vehicle, but we do know several things about it, thanks to its debut at the 2019 North American International Auto Show in Detroit. Essentially, the XT6 is the XT5 with a third-row added. There’s only a 0.2-inch increase between the wheels, but about nine inches in its overall length. Thus, the XT6 seats up to seven. It has the same V6 engine as the XT5, but it works with a nine-speed automatic, supplying one more cog than the XT5. Pricing as of March 2019 is as follows. For the standard Premium FWD (front-wheel drive) model, the cost including destination is $53,690. The XT6 line also includes the XT6 Sport, with standard Sport Control AWD, which starts at $58,090. Competing Models: Audi Q7, BMW X7, Infiniti QX70, Land Rover Discovery, Lincoln Aviator, Lexus RX L, Mercedes-Benz GLE, and Volvo XC90. 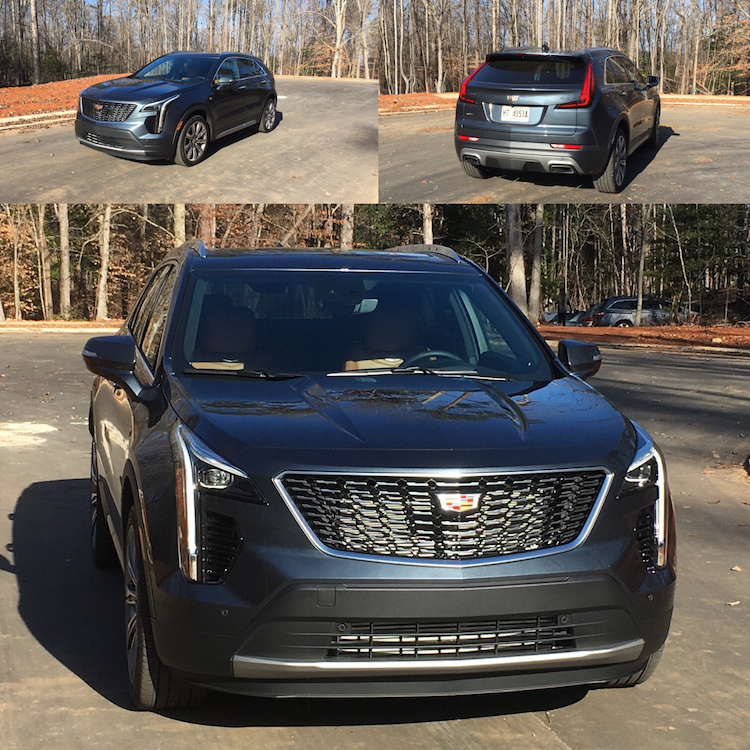 Cadillac XT4 photo montage copyright Auto Trends Magazine. Cadillac XT5 and XT6 photos copyright Cadillac. Latest Cadillac model brings utility to the midsize segment. The first-ever 2017 Cadillac XT5 luxury crossover is the cornerstone of a new series of crossovers in the brand’s ongoing expansion. The first-ever XT5 premiered in November 2015 at the Dubai and Los Angeles auto shows and arrives on the market in April. The 2017 Cadillac XT5 arrives in showrooms this April, inaugurating a new naming convention for GM’s luxury marque. The model is all-new and serves as the successor for the outgoing SRX. 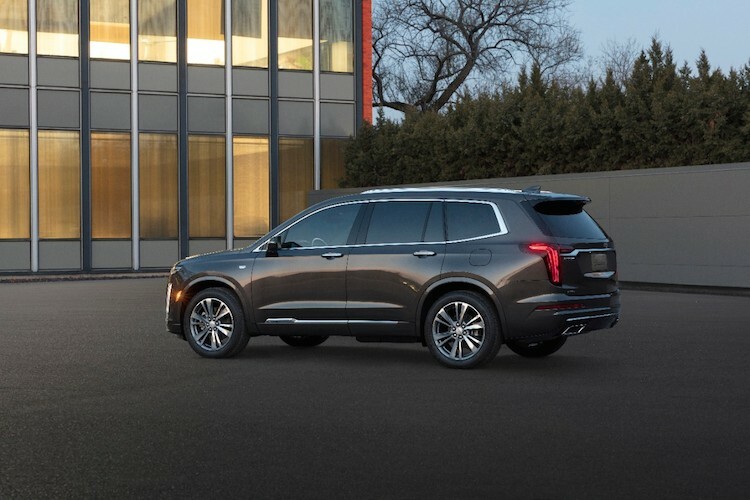 Importantly, Cadillac has priced the neoteric SUV from $39,990 (includes $995 destination charge) with the top-of-the-line model retailing for $63,495. GM announced the XT5’s pricing on Wednesday with about two months remaining before its on sale date arrives. The new model arrives as the market for all things SUV explodes, especially in the luxury theater where manufacturers can’t seem to build enough of them. The XT5 name signals that future SUV models will each start with “XT” then follow with a numerical representation. Similarly, on the car side, Cadillac has chosen the “CT” appellative for its coupes and sedans. Thus, the all-new full-size CT6 will commence the nomenclature change for cars when it arrives this spring just ahead of the XT5. Cadillac, however, will phase in the change over several years as each model is updated or replaced. 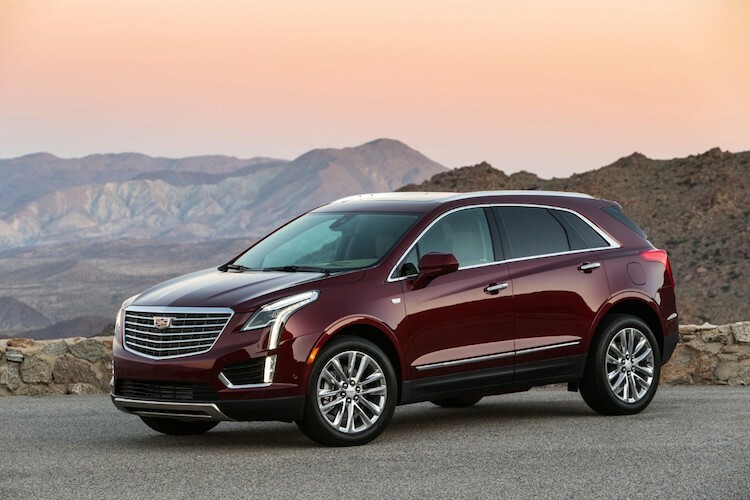 As for the midsize Cadillac XT5, its price comes in below most of its competitors, including the Audi Q5, Lexus RX, and the BMW X4. However, that price is about $800 above the base Lincoln MKX and slightly above the price Mercedes-Benz is asking for the GLC-Class. Four trim levels accompany the 2017 Cadillac XT5. The range-topping Platinum is followed by Premium, Luxury, and Base models. Customers will have a choice of seven exterior colors as well as seven distinct interiors. Front-wheel drive is standard; all-wheel drive is available. Upgrades include Cadillac’s proprietary rear camera mirror system on Platinum models. The system ties in with Cadillac CUE, the brand’s infotainment system and offers Apple CarPlay and Android Auto compatibility. Active fuel management with engine stop/start technology should combine to enhance fuel economy. Under the hood, a 3.6-liter, V-6 engine making 310 horsepower and 270 foot-pound of torque drives this SUV. It comes paired with an 8-speed automatic transmission with electronic precision shift for the first electronically controlled transmission utilization in a Cadillac conveyance. Optionally available an all-new for 2017 is a “twin clutch” all-wheel drive system designed to steadily and recurrently provide optimum traction regardless of the current road conditions. That means up to 100 percent of the available torque may be sent to either the front or rear axle, as needed. Further, that power can be sent to either wheel. Indeed, this package should be most beneficial when there is more water, ice or snow on one side of the SUV than on the other. Eventually, the technology should spread across Cadillac’s utility vehicle line. With two models coming in and one on its way out (ELR), Cadillac is poised to revamp and expand its entire product line. Within four years, every model will have been changed and gain new nomenclature in the process. If Cadillac’s new way catches on, it’ll be better positioned to battle the middle brands in the luxury segment. Audi, Acura, and Infiniti are Cadillac’s nearest sales competitors in the US. BMW, Lexus and Mercedes-Benz are part of the top tier, with Lincoln, Porsche, Land Rover, Volvo, and Jaguar also competing. Moreover, it will have a better mix of products to compete in other markets, including China, where it may eventually find its largest customer base.